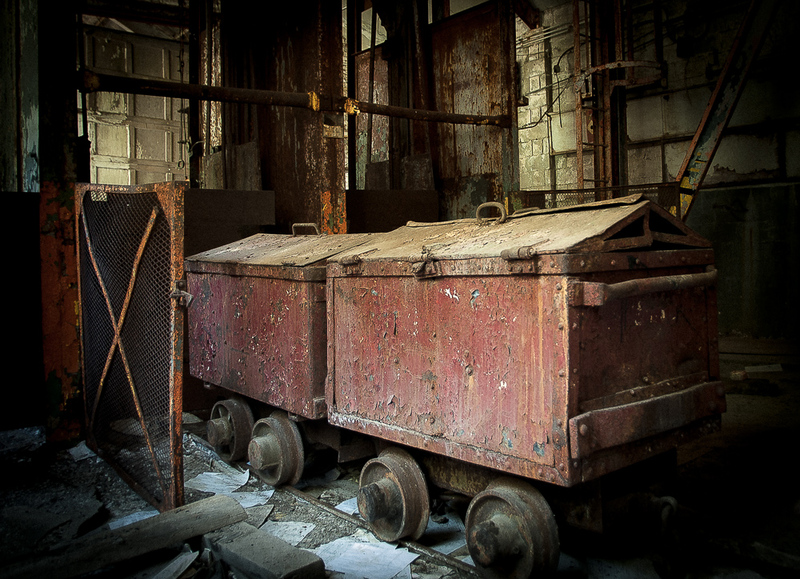 Ore cars sit at the edge of the mine shaft elevator. I didn’t check if they were still loaded with oar, direct from their accent or if they were headed back down. Either way, the last moments of their abandonment allows for vivid speculation. Based on everything else I’ve seen, I have a feeling they’re full of oar, Will. It’s almost like the “second coming” came in the middle of this operation! This is my favourite of the series so far. Excellent. Beautiful warm tones. Makes me wonder. I like the light and these warm tones … good work! cool find of industrial archeology !